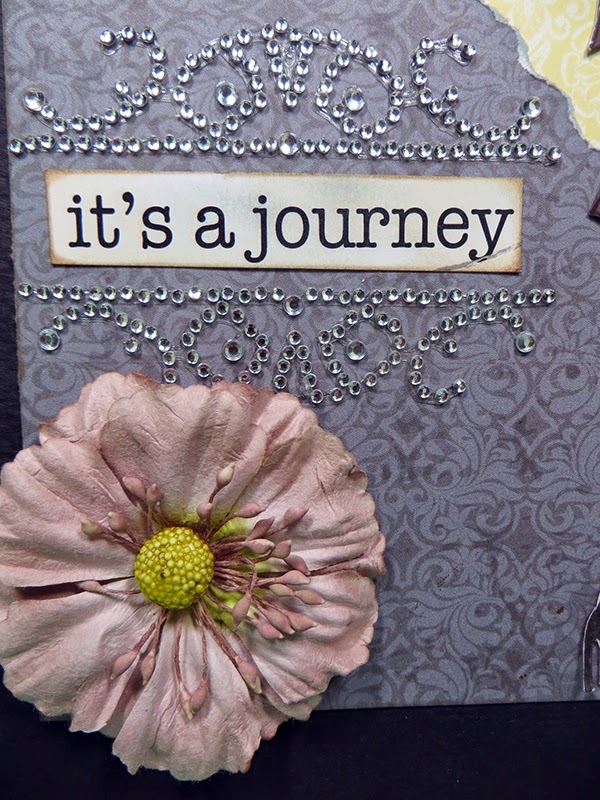 Susie here today to share a Mixed Media Tag featuring some of the newly released papers from Quick Quotes. 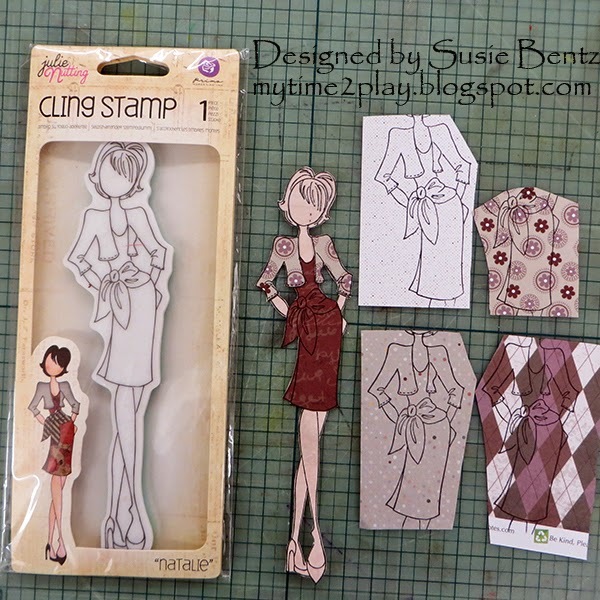 I have always love playing with paper dolls, so I find the Julie Nutting Mixed Media Dolls pretty irresistible! I started by stamping the doll image onto various papers from the *new* Alton collection. I wasn't sure what I wanted until I saw it! 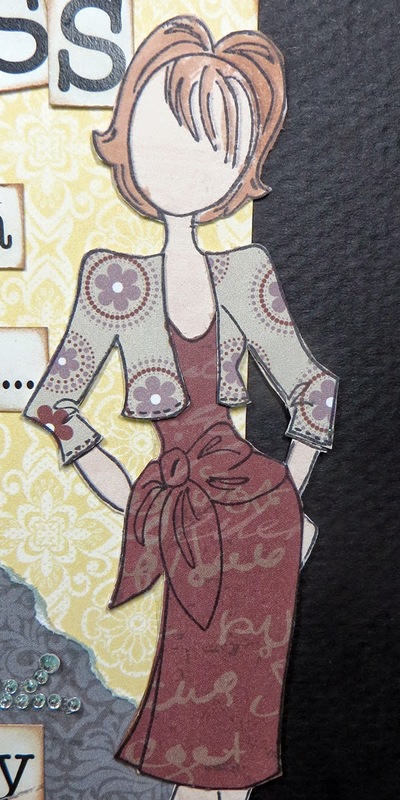 I trimmed out the dress and jacket combo I liked and adhered them to a base figure that I had stamped onto a piece of Dusty Road 400. I used the Java PowderPuff Chalking Ink to color her hair. I pressed the ink pad onto a craft mat and spritzed it with water, then used a paintbrush to add the color. 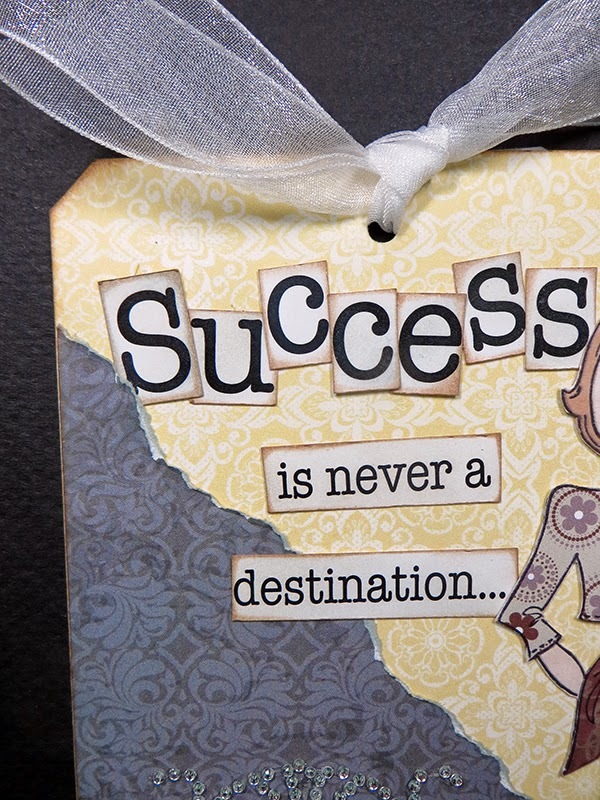 I found the sentiment about success on one of the Sentiment Quote Cards. I cut "Success" into individual letters and the rest of the quote into strips. I inked the edges with more of the Java PowderPuff Chalking Ink. I framed this portion of the sentiment with rhinestone bling and added a flower at the bottom. The background of the tag was made with a gray paper from the *new* Antique Garden and a yellow piece from the Dream Big Collection. 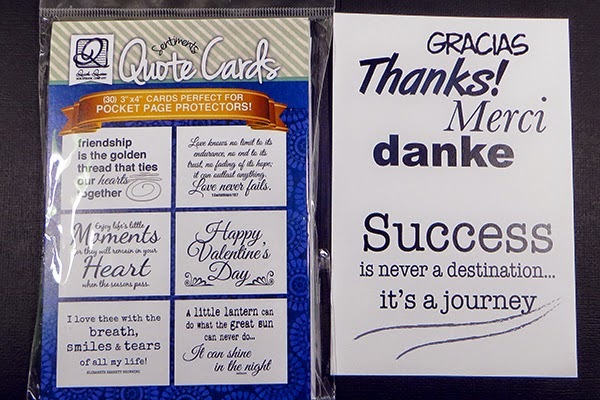 Sentiments - Quote Cards 3"x4"